Our free plugin, Order Delivery Date Lite for WooCommerce is made compatible with Post Delivery Product Review Addon which is most useful for all online store owners. This is because it allows you to send product review emails to customers asking them to rate the products purchased and accept product reviews from verified users. This setting is enabled by ticking the checkbox as shown above. By enabling the setting, an email notification will be sent to the customer on the very next day of the delivery. 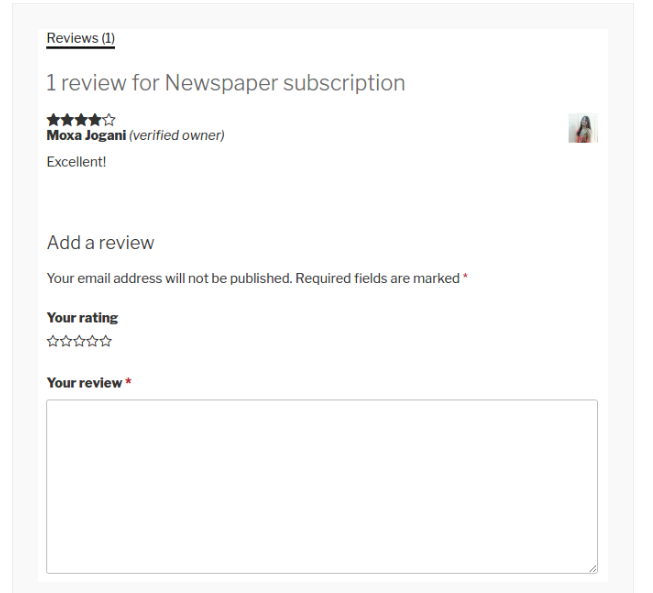 The email displays the name of the purchased products and links to post the reviews on the product page as shown above. 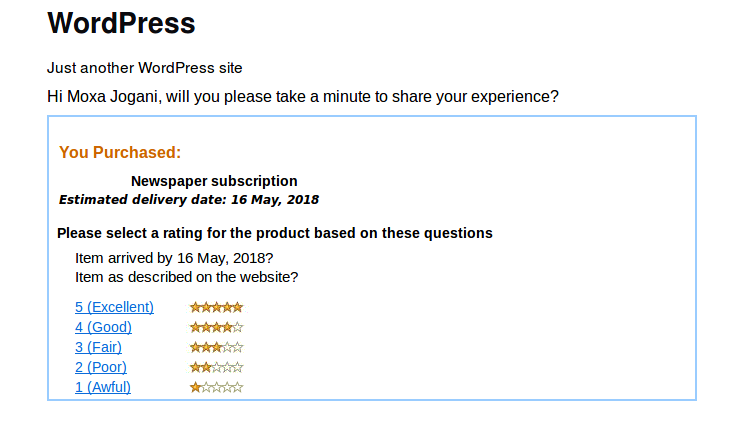 After you click on the link that provides the ratings, you will be redirected to the product review section on products page where customers can write their reviews. The Product Delivery Product Review Addon is actually the most useful and advantageous for online store owners as it helps them keep a track of all their products and its performances. It also assists them in evaluating the sales related to different products depending upon its popularity and feedback from customers, which in turn attracts even more users.